Angela Merkel (Chancellor of Germany) -May 8,2016 -Health, Meeting with Pope Francis, Clairvoyant/Psychic predictions about Germany 2016, Business, Relationships with Turkey, The Automotive industry. Does Angela Merkel remains chancellor of Germany -Year 2016? 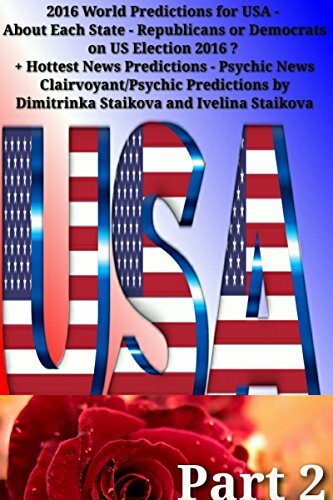 – Clairvoyant reading/Psychic predictions by Clairvoyant House “Dimitrinka Staikova and daughters Stoyanka and Ivelina Staikova” – from Europe, Bulgaria, Varna – May 8, 2016, 4 pm. Clairvoyant Health Diagnosis of Angela Merkel : in the next 48 hours – May 8, 2016 – Strong pains in the right eye, left breast, heart, left side of the genitalia, muscles of the stomach, the left side of the large intestine and the neck. I surgical interventions in the left breast, firstly the left – follows the right breast and surgical intervention in the heart. I see already passed treatment on the left side of her genitalia. Although the surgical intervention, there will be more surgical interventions there. In the moment react : the mammary glands, gall, the muscles on the back of the spine + left leg. There are bone spurs in the neck vertebrae of the spine. I see disbalance of the glands . Mrs. Merkel will slowly loose the vision of her right eye. – I see also conversations after May 7, 2016 with the Prime Ministers of Ex East-European countries connected with the new positions of NATO and USA in the region, the arming (armament) and protection of the borders. I don’t see mrs. Merkel on the Victory Day Parade in Moscow on May 9, 2016. On that day, there will be a problem with the currency – the Euro – May 9, 10, 11 – 2016. Thursday is a heavy day about the automotive industry in Germany – May 12, 2016. In Friday and Saturday, the mood of mrs. Merkel returns – she sees that there is worse than her condition. 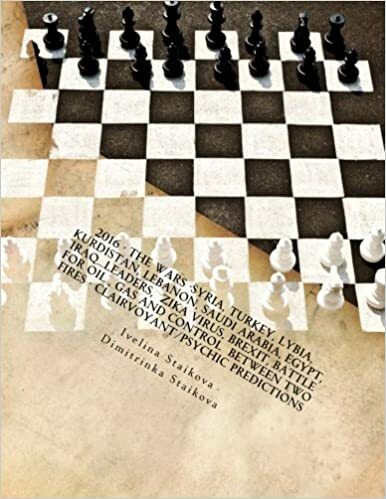 • The second ten days of May there will be connection with Great Britain – talking, signing of contracts, problems around the Queen. A contract with France slows its action (business). There is upcoming uniting of french and german soldiers as a beginning – with a military equipment (technics), product of a joint french – german business. It is offered to Great Britain to join, but they prefer on that stage to be independant military unit. It will be offered to the last countries accepted in the European Union to join, but there is only minimum number of people. On this stage a European Army on the rank of NATO – I don’t see. 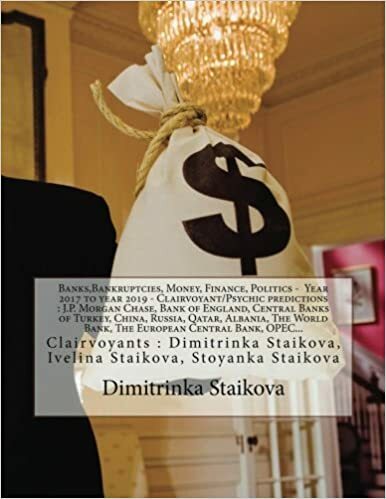 • The third ten-day period of May 2016 – Germany separates about 20 percent of its gainings and invests them in the Vatican Bank – this is as a joint-stock company – it is not a loan. In this period, the protests and the unrests against mrs. Merkel are increased. The towns in which they will be strong are many, but in Bonn and Berlin , they will be already touching the highs of the poltical power – until the first days of June 2016. • In the first days of June 2016, there is upcoming agreement between the political parties… In the end of June 2016, Germany will be involved in problems with refugees, Turkey – European Union. • Actually, the most heavy month is August 2016 – I hear silence in Germany, but this is the silence in the eye of the storm. • September 2016 – the political power in Germany is changed. • October 2016 – is a month when the political power behind Merkel is turning and new people are coming : “Germany above all”. …Money will be invested in Turkey, but as a joint business. Mrs. Merkel is interested in land, business and energy fields and corridors. 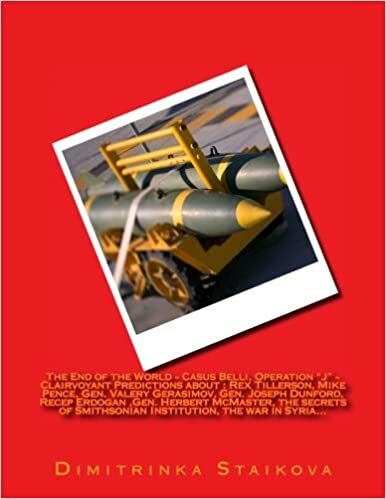 This entry was posted in Uncategorized and tagged #EgyptTurmoil, #IslamicState, #SyriaWar, #ThirdIntifada, #TurkeyChooses, 2015 Bangkok bombing, Abdullah Çatlı, ADÜTDF), Ahmet Davutoglu, AKP, AKP deputies, AKP leaders, AKP officials, AKP’s congress, Alexander van der Bellen, Ali al-Naimi, Alparslan Türkeş, Alternative for Germany, Angela Merkel, Ankara, Anti-communism, anti-immigrant parties, arrest of a reported Turkish citizen, assault, Austrian presidential race, Azerbaijan, ‪, Ülkü Ocakları, balloting in Berlin, Bangkok, Bangkok bombing, Bashar al-Assad, Belçika Türk Federasyonu (BTF), Belgium, Berlin Elections, Bernie Sanders, Binali Yıldırım, Brexit, Britain, business, Candidate, Candidate of the Green Party of the Presidential Election in Austria, Central Asia, Central Executive Board (MYK), Central Intelligence Agency, Chairman, Chancellor Angela Merkel, Chancellor of Germany, Character, China Times, Christian Democratic Union, clairvoyant, Clairvoyant Calendar 2016, clairvoyant reading, Clairvoyant/Psychic predictions about Germany 2016, CNN Turk, conflict against the PKK, contracts, Cuba, Cyprus, David Cameron, Davutoglu, Davutoglu and Erdogan, Davutoglu's resignation, deals, decision to welcome, decision to welcome refugees from Syria, Democrats, Der Spiegel, Devlet Bahceli, Dimitrinka Staikova, Direction générale de la sécurité intérieure, Donald Trump, Donald Tusk, Election results, Elections 2016 in Turkey, elections in Northern Cyprus, elections in Spain on June 26, elections Turkey, Erawan Shrine bombing, Erdogan, Erdogan's decision, Erdogan's presidency, Erdoğan's election, EUCOM, European Union, extraordinary congress Turkey, extremist organization, falls and rises, Family business, far-Right Freedom Party, Fethullah Gulen, Former President of the United Nations General Assembly, France, France 2016, Francois Hollande, German Government, German Turks, Germany, Government of France, Grand National Assembly, Grand National Assembly of Turkey, Grey Wolves, Grey Wolves leader, Hürriyet Daily News, Head of the U.S. European Command, health, Health diagnosis, Hillary Clinton, Idealist Clubs, Idealist Hearths, Internal war, International Press Institute, Israeli Prime Minister Benjamin Netanyahu, Istanbul, Ivelina Staikova, Jean -Claude Juncker, Jens Stoltenber, Justice and Development Party, Justice Minister Bekir Bozdag, Kürşat Ergün, Kemal Kilicdaroglu, King Felipe of Spain, Kurdish militants, Kurdistan Workers' Party, kurds, Kurds in Germany, Latakia, Leader of Grey Wolves, Leader of PYD -Syria, leader of the AKP party, majority, Manuel Valls, Mecklenburg-Vorpommern, Media Confirmations, Meeting with Pope Francis, Mehmet Ali Ağca, Meral Akşener, MHP, migrant crisis, military operations, Military provocations, Military tactics, MKYK, money, mounting tensions, Mr Erdogan's son-in-law and Energy Minister Berat Albayrak, Mr. Erdogan, Mustafa Ataş, Nagorno-Karabakh War, National Intelligence Organization, nationalism, Nationalist Movement Party, Nationalist Movement Party of Turkey, nationalist party, NATO, Neo-fascism, Norbert Hofer, Northern Cyprus, opposition party leader, palace coup, Pan-Turkism, party AKP, Patriarch Kirill, peace talks with the PKK, PKK threat, Poland, politics, Pope Francis, possible radical Turkish connection, predictable politics, president Obama, president of Turkey, Presidential Election in Austria, presidential palace, presidential system, Prime Minister of France, Priorities, pro-Assad National Defence Forces, Problems in Cyprus, Problems with emigrants, Problems with the command, psychic, psychic predictions, Radical Party of the Left, Rajoy's Budget, Rauf Denktaş, Recep Tayyip Erdogan, refugees, refugees from Syria, Relationships with Turkey, Replacement of the Oil Minister of Saudi Arabia, Republicans, resignation Ahmet Davutoglu, Salih Muslim, Second Chechen Wars, Secretary General of Nato, shadow cabinet, snap polls, Social Democratic party, Spain's King Felipe VI, Spanish king sets new elections for June 26, Syrian civil war, Tammam Salam, Türk Federasyon, Türk Federasyon (Avrupa Demokratik Ülkücü Türk Dernekleri Federasyonu, Türk Ocağı (TO), terrorism, Thai capital, Thailand, the AKP’s deputy chair, the attempt on Pope John Paul II's life in 1981, The Automotive industry, The Cuhmuriyet newspaper, the flood of immigrants, The future of Spain, The Grey Wolves, the King of Spain, The meeting of Pope Francis and Patriarch Kirill in Cuba, The Nationalist Movement Party (MHP), the Netherlands, the Netherlands and Austria, The politics of Turkey, The Prime minister of Lebanon, The Refugee crisis, Threat to life, Transport and Communications Minister Binali Yildirim, Transportation of historical relics (holy remains) and gold by Syria, TTIP, Turkey, Turkey is a parliamentary system, Turkey Prime Minister Ahmet Davutoglu, Turkish citizens visa-free travel to the EU, Turkish crime mafia, Turkish invasion of Cyprus, Turkish national, Turkish nationalism, Turkish Nationalist Organisation, Turkish politician, Turkish politics, Turkish preacher, Turkish prime minister, Turkish Supreme Court, Turkish territory, Turkish-controlled portion of Cyprus, TurkishPolitics, U.S. Army Gen. Curtis M. Scaparrotti, Uighurs, Ultra-nationalist Turkish terrorist group, United Nations, US Election 2016, Valls Cabinet, War footing, war-torn countries, weak points on September 21, 2016 by Clairvoyant Dimitrinka Staikova. Norbert Hofer ( Candidate of the far-Right Freedom Party of the Presidential Election in Austria ) – Priorities, War footing, Business, Weak points, Election results – Clairvoyant reading/Psychic predictions by Clairvoyant House “Dimitrinka Staikova and daughters Stoyanka and Ivelina Staikova” – from Europe, Bulgaria, Varna – May 10, 2016, 7 pm. Comming to power, he will end the contacts and the russian energy. 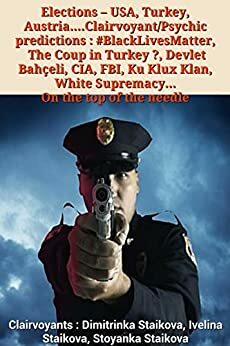 • The law and the authority will be the supreme power both with the police. • Separation of three energy companies with two banks – the one remains for the Prosecution and the Prisons. In the moment, there is a difficult financing and very rich leaders, which have taken the hard political path and they are behind him. Because of the problems with the financing and the lack of money in the moment, he doesn’t feel the winner yet, but he thinks that he has an energy and triple power , and the support that will shoot him up. I don’ t see a nationally decision or love to him – I see rich people, which are shooting him up to the victory. What kind of man is he ? -Accurate, pragmatic, loyal – he doesn’t like the lie. The weak points are the women in his life. He is psychologist and if he is not too nervous – he is a great leader. He doesn’t have scruple, first, he loves the power, then are the money, then the women and on the last place is the smell of the alcohol he drinks. Behind him are staying tons of gold and old bankers. In his hamily, as a gene is the accuracy in everything : optics, money, business with trains (engineering), cars, aircrafts. He will have for partners also japanese businessmen. The business behind him after the winning of the power will decrease. Since May 15 to May 20 -2016 – there are crucial (decisive) for his career meetings. Around May 22 – there will be a provocation and terrorist action. The provocation will be in a state institution and a refugee will be involved. The terrorist action will be under a rail and the next will be near airport – hard days -May 17,18 year 2016. In the Election results there is a small preponderance, but the party will try to increase it. Increased pressure of the right eye. Sensitive stomach. Sick large intestine. From the past : already sick spine and left leg. There will be problems with the muscles of the back – at right. He will treat a sick left kidney. The energy in the spine is sick in three circles. Alexander van der Bellen (Candidate of the Green Party of the Presidential Election in Austria) – The money are too much, but they are never enough ; Moto -” It will happen like we wish it “- Clairvoyant reading/Psychic predictions by Clairvoyant House “Dimitrinka Staikova and daughters Stoyanka and Ivelina Staikova” – from Europe, Bulgaria, Varna – May 10, 2016, 8 pm. And here I see, like in the previous candidate for president, a thought about police, war footing, energy business. The life is painted for mr. Bellen in more pink tones with a wishes about successful business of the banks. He is a peaceful man with charm and he is able to reassure. Moto : “It will happen like we wish it”. The path of its party is going only upwards. His strengths : he can resist mentally to the battle. It doesn’t matter how much money are staying behind him – he is able with its behaviour to multiply them. -This is a man, that the businessmen would like. His weak point also are the money – they will be never enough. Except his health – there are no other weak points. It is important about him the people around him to be by his circle – he does not accept foreign people, he doesn’t trust them. That he is paid , it doesn’t mean that he can be bought. Austria’s highest court ruled Friday July 1, 2016 that presidential elections narrowly lost by right-wing candidate Hofer must be repeated after his party claimed gross irregularities in the absentee vote count. Norbert Hofer was leading after polls closed. But final results after a count of absentee ballots put former Green party politician Alexander Van der Bellen ahead by only a little more than 30,000 votes. 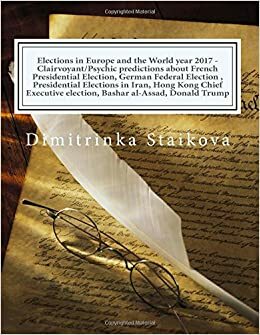 This entry was posted in Uncategorized and tagged #EgyptTurmoil, #IslamicState, #SyriaWar, #ThirdIntifada, #TurkeyChooses, 2015 Bangkok bombing, Abdullah Çatlı, absentee ballots, absentee vote count, ADÜTDF), Ahmet Davutoglu, AKP, AKP deputies, AKP leaders, AKP officials, AKP’s congress, Alexander van der Bellen, Ali al-Naimi, Alparslan Türkeş, Angela Merkel, Ankara, Anti-communism, arrest of a reported Turkish citizen, assault, Aube region of eastern France, Austria's Freedom Party, Austria's highest court, Austrian heads of state, Austrian presidential race, Austrian referendums, Austrians, Azerbaijan, “Auxit”, “Auxit” referendum, Ülkü Ocakları, ­Arnaud Pacot, Bangkok, Bangkok bombing, Bashar al-Assad, Belçika Türk Federasyonu (BTF), Belgium, Bernie Sanders, BFM television, Binali Yıldırım, Brexit, Britain's pending departure from the European Union, British Leave campaign, burning tyres, business, Campaign, Candidate, candidate for Austria's Presidency, Candidate of the Green Party of the Presidential Election in Austria, Central Asia, Central Executive Board (MYK), Central Intelligence Agency, CGT union, Chairman, Chancellor of Germany, Character, China Times, Christian Kern, city of Rennes, clairvoyant, Clairvoyant Calendar 2016, clairvoyant reading, Clairvoyant/Psychic predictions about Germany 2016, clashes in Paris, CNN Turk, conflict against the PKK, Constitutional Court chief judge Gerhart Holzinger, contracts, Cuba, Cyprus, David Cameron, Davutoglu, Davutoglu and Erdogan, Davutoglu's resignation, deals, Democratic presidential candidate, Democratic presidential front-runner, Democrats, demonstrators, Der Spiegel, Devlet Bahceli, Dimitrinka Staikova, Direction générale de la sécurité intérieure, Donald Trump, Donald Tusk, Douchy-les-Mines, Election results, election trail, Elections 2016 in Turkey, elections in Northern Cyprus, elections in Spain on June 26, elections Turkey, electoral commission, Erawan Shrine bombing, Erdogan, Erdogan's decision, Erdogan's presidency, Erdoğan's election, EUCOM, Euro 2016 championships, European Union, extraordinary congress Turkey, extremist organization, falls and rises, Family business, far-Right Freedom Party, Far-Right Freedom Party candidate Norbert Hofer, Fethullah Gulen, Finance Minister Michel Sapin, former Green party politician Alexander Van der Bellen, FPÖ, FPOE, France 2016, France labour dispute, Francois Hollande, Freedom Party, Freedom Party candidate Norbert Hofer, French Prime Minister, French Prime Minister Manuel Valls, French workers, fuel ­reserves, fuel supplies, German Turks, Germany, Gilles Guyomard, Government of France, Grand National Assembly, Grand National Assembly of Turkey, Grey Wolves, Grey Wolves leader, gross irregularities, Harfleur, Hürriyet Daily News, Head of the U.S. European Command, health, Health diagnosis, Heinz Fischer, Hillary Clinton, Hofer or Van der Bellen, House Speaker Paul Ryan, Idealist Clubs, Idealist Hearths, immigration policy, in Normandy, Industrial action, Internal war, International Press Institute, Israeli Prime Minister Benjamin Netanyahu, Istanbul, Ivelina Staikova, Jean -Claude Juncker, Jean-Luc Daganaud, Jens Stoltenber, Justice and Development Party, Justice Minister Bekir Bozdag, Kürşat Ergün, Kemal Kilicdaroglu, kindred movements, King Felipe of Spain, Kurdish militants, Kurdistan Workers' Party, kurds, Kurds in Germany, labour bill, labour law reforms, Latakia, Le Havre, Leader of Grey Wolves, Leader of PYD -Syria, leader of the AKP party, Lyon, majority, Manuel Valls, Marseille, Marseilles, Media Confirmations, Meeting with Pope Francis, Mehmet Ali Ağca, Meral Akşener, MHP, migrant crisis, military operations, Military provocations, Military tactics, MKYK, money, Montpellier and Bordeaux, mounting tensions, Mr Erdogan's son-in-law and Energy Minister Berat Albayrak, Mr Hofer, Mr Valls, Mr van der Bellen, Mr. Erdogan, Mr. Trump, Mustafa Ataş, Nagorno-Karabakh War, Nantes and Toulouse, National Intelligence Organization, Nationalist Movement Party, Nationalist Movement Party of Turkey, NATO, Neo-fascism, Norbert Hofer, Northern Cyprus, nuclear power stations and transport hubs, oil depot, oil refineries, openly anti-immigrant platform, opposition party leader, palace coup, pan-European anti-EU sentiment, Pan-Turkism, Paris, party AKP, Patriarch Kirill, peace talks with the PKK, PKK threat, Poland, politics, Pope Francis, possible radical Turkish connection, presidency, President Donald Trump, President François Hollande, president of Turkey, Presidential Election in Austria, Presidential Elections, presidential palace, presidential system, Prime Minister of France, Priorities, pro-Assad National Defence Forces, pro-exit vote in Britain, Problems in Cyprus, Problems with emigrants, Problems with the command, Protests in Paris, psychic, psychic predictions, Radical Party of the Left, Rajoy's Budget, Rauf Denktaş, re-run of the election, Recep Tayyip Erdogan, referendum, refugees, Relationships with Turkey, repeat vote, Replacement of the Oil Minister of Saudi Arabia, Republicans, rerun of the country's presidential election, resignation Ahmet Davutoglu, right-wing candidate Hofer, Salih Muslim, Second Chechen Wars, Secretary General of Nato, Seine River, Sen. Bernie Sanders, shadow cabinet, snap polls, Socialist government, Spain's King Felipe VI, Spanish king sets new elections for June 26, strikes and protests, Syrian civil war, Tammam Salam, Türk Federasyon, Türk Federasyon (Avrupa Demokratik Ülkücü Türk Dernekleri Federasyonu, Türk Ocağı (TO), temporary acting triumvirate, terrorism, Thai capital, Thailand, the AKP’s deputy chair, the attempt on Pope John Paul II's life in 1981, the Austrian chancellor, The Austrian presidency, The Automotive industry, The Cuhmuriyet newspaper, The French Union of Petroleum Industries, The future of Spain, The Grey Wolves, the King of Spain, The meeting of Pope Francis and Patriarch Kirill in Cuba, The Nationalist Movement Party (MHP), the Netherlands, The politics of Turkey, the President of Austria, The Prime minister of Lebanon, The Refugee crisis, the speaker of the Austrian parliament, Threat to life, Tours, trains and nuclear plants, Transport and Communications Minister Binali Yildirim, Transport Minister Alain Vidalies, Transportation of historical relics (holy remains) and gold by Syria, Trump and Clinton?, TTIP, Turkey, Turkey is a parliamentary system, Turkey Prime Minister Ahmet Davutoglu, Turkish citizens visa-free travel to the EU, Turkish crime mafia, Turkish invasion of Cyprus, Turkish national, Turkish nationalism, Turkish Nationalist Organisation, Turkish politician, Turkish politics, Turkish preacher, Turkish prime minister, Turkish Supreme Court, Turkish territory, Turkish-controlled portion of Cyprus, TurkishPolitics, U.S. Army Gen. Curtis M. Scaparrotti, Uighurs, Ultra-nationalist Turkish terrorist group, unionists, US Election 2016, Valls Cabinet, Van der Bellen, Vienna, vote manipulation, War footing, Washington, water cannon, Wolfgang Sobotka on July 1, 2016 by Clairvoyant Dimitrinka Staikova. King Felipe of Spain – Negotiations between two parties (groupings) fails before the Elections. Internal war. The future of Spain – procedures about the split (separation) of the independence of one region (area). Health Diagnosis of the King of Spain – Clairvoyant reading/Psychic predictions by Clairvoyant House “Dimitrinka Staikova and daughters Stoyanka and Ivelina Staikova” – from Europe, Bulgaria, Varna – May 4, 2016, 10 am. The Elections in Spain will try to unite the nation. I see two teams – both equally strong with influence, power and money, which are going to the Elections. They try to unite twice and the negotiation fails. The decision – Elections – begins internal war. The left grouping – has more luck. It has no law participation on its side, but the emigrants, the refugees and foreigners are in help. I see weaker financing for the campaign (the Elections). Many, many nerves, obstacles – by the Prosecution and the law. They start very strong campaign, then they see that are loosing the interests of the people. Follows a candidacy like a launch into Space, then again lack of interest, until one energy company stays behind them as financing – then, there is a meeting with the king – promises -only promises. The Judiciary stays with them, but it does not remains with them. The good is, that I see, that there will be no court cases against the leaders of the party. The Second party – is staying from the right side of King Felipe. It immediately begins preparations and a fight for the Elections. It does not deal with internal war. Their money are separated between two leaders. They both are for one event – the winning of the Elections – as one whole. Ahead is going this one from left – with a smaller face – oval chin, lightly snub nose, younger. A lot of money are givven by that party, behind them is staying an intelligence service. There is a loss and winning of the Elections. For now, King Felipe is worried by and for the Syrian refugees, he tries to be unifier of the nation. He limits and reduces the resolving of certain tasks for the time after the Elections. I don’t see him to take a position. The separation of two parts od Spain will cause problems in the future. To the one part are givven money, but the smaller one is ahead of procedures for independency. Pains on the waist, at the right side of the waist and the left side of the pelvis – on the back of the body. A cold muscles on his shoulders. Sick throat, a cold. Flu , which has affected the left lung, the heart, the throat and the urinary tract. In the future, the pains by the waist are going in the right leg and he will treat neurosis in the heart. In the future – Year 2016 – Spain will be subordinated to God (…Allah) and the Climate Change – the Summer, November and December 2016. This entry was posted in Ankara, billionaires, BRUSSELS ATTACKS, business, Clairvoyant, Confirmation, Cyprus, Davutoglu, Donald Trump, Erdogan, Health diagnosis, Hillary Clinton, Manuel Valls, MH370, migrant crisis, Money, Nicos Anastasiades, Peace, Politicians, President Barack Obama, Psychic, royal family, Syria, terrorism, Turkey, Uncategorized, Us Elections 2016, War, Washington, World predictions that came true and tagged "Together We Can", #26J, #EgyptTurmoil, #ELPAIS26J, #IslamicState, #madrid, #SyriaWar, #ThirdIntifada, #TurkeyChooses, 2015 Bangkok bombing, Abdullah Çatlı, ADÜTDF), Ahmet Davutoglu, AKP, AKP deputies, AKP leaders, AKP officials, AKP’s congress, Alexander van der Bellen, Ali al-Naimi, Alparslan Türkeş, Angela Merkel, Ankara, anti-austerity movement Podemos, Anti-communism, Anti-EU sentiment, arrest of a reported Turkish citizen, assault, Austrian presidential race, Azerbaijan, Ülkü Ocakları, Bangkok, Bangkok bombing, Bashar al-Assad, Belçika Türk Federasyonu (BTF), Belgium, Bernie Sanders, Binali Yıldırım, Brexit, Brexit referendum, Brexit vote, Britain's referendum vote, Britain's vote to leave the EU, business, Candidate, Candidate of the Green Party of the Presidential Election in Austria, center-right People's Party (PP), Central Asia, Central Executive Board (MYK), Central Intelligence Agency, Chairman, Chancellor of Germany, Character, China Times, clairvoyant, Clairvoyant Calendar 2016, clairvoyant reading, Clairvoyant/Psychic predictions about Germany 2016, CNN Turk, complex negotiations, conflict against the PKK, contracts, corruption scandals, Cuba, Cyprus, David Cameron, Davutoglu, Davutoglu and Erdogan, Davutoglu's resignation, deals, deep recession, Democrats, Der Spiegel, Devlet Bahceli, Dimitrinka Staikova, Direction générale de la sécurité intérieure, Donald Trump, Donald Tusk, economic crisis, economic independence, El Pais, Election results, Elections 2016 in Turkey, elections in Northern Cyprus, elections in Spain on June 26, elections Turkey, Erawan Shrine bombing, Erdogan, Erdogan's decision, Erdogan's presidency, Erdoğan's election, EUCOM, euro zone's fourth-largest economy, European Union, extraordinary congress Turkey, extremist organization, falls and rises, Family business, far-Right Freedom Party, Fethullah Gulen, financial market, France 2016, Francois Hollande, German Turks, Germany, governing coalition, Government of France, Grand National Assembly, Grand National Assembly of Turkey, Grey Wolves, Grey Wolves leader, Hürriyet Daily News, Head of the U.S. European Command, health, Health diagnosis, Hillary Clinton, Idealist Clubs, Idealist Hearths, inconclusive poll, increased global uncertainty, Internal war, International Press Institute, Israeli Prime Minister Benjamin Netanyahu, Istanbul, Ivelina Staikova, Jean -Claude Juncker, Jens Stoltenber, Justice and Development Party, Justice Minister Bekir Bozdag, Kürşat Ergün, Kemal Kilicdaroglu, King Felipe, King Felipe of Spain, Kurdish militants, Kurdistan Workers' Party, kurds, Kurds in Germany, Latakia, Leader of Grey Wolves, Leader of PYD -Syria, leader of the AKP party, left-wing force, liberal party Ciudadanos, majority, Manuel Valls, Mariano Rajoy, Media Confirmations, Meeting with Pope Francis, Mehmet Ali Ağca, Meral Akşener, MHP, migrant crisis, military operations, Military provocations, Military tactics, MKYK, money, mounting tensions, Mr Erdogan's son-in-law and Energy Minister Berat Albayrak, Mr. Erdogan, Mustafa Ataş, Nagorno-Karabakh War, National Intelligence Organization, Nationalist Movement Party, Nationalist Movement Party of Turkey, NATO, Neo-fascism, Norbert Hofer, Northern Cyprus, opposition party leader, palace coup, Pan-Turkism, party AKP, Patriarch Kirill, peace talks with the PKK, PKK threat, Podemos, Poland, political analyst, political stalemate, political uncertainty in Europe, politics, Pope Francis, populist parties, populists, possible radical Turkish connection, PP-led government, president of Turkey, Presidential Election in Austria, presidential palace, presidential system, Prime Minister Mariano Rajoy, Prime Minister of France, Priorities, pro-Assad National Defence Forces, Problems in Cyprus, Problems with emigrants, Problems with the command, psychic, psychic predictions, public anger, Radical Party of the Left, Rajoy, Rajoy's Budget, Rauf Denktaş, Recep Tayyip Erdogan, refugees, Relationships with Turkey, Replacement of the Oil Minister of Saudi Arabia, Republicans, resignation Ahmet Davutoglu, RTVE, Salih Muslim, Second Chechen Wars, Secretary General of Nato, shadow cabinet, snap polls, Socialist party, Socialists, Spain, Spain's conservative People's Party (PP), Spain's Conservative PP wins rerun election, Spain's King Felipe VI, Spain's liberal Ciudadanos, Spain’s Ciudadanos party, Spaniards, Spanish elections, Spanish king sets new elections for June 26, Spanish parties, Spanish vote, Syrian civil war, Syriza party, Tammam Salam, Türk Federasyon, Türk Federasyon (Avrupa Demokratik Ülkücü Türk Dernekleri Federasyonu, Türk Ocağı (TO), terrorism, Thai capital, Thailand, the AKP’s deputy chair, the attempt on Pope John Paul II's life in 1981, The Automotive industry, The Cuhmuriyet newspaper, the elections in Spain, The future of Spain, The Grey Wolves, the King of Spain, The meeting of Pope Francis and Patriarch Kirill in Cuba, The Nationalist Movement Party (MHP), the Netherlands, The politics of Turkey, The Prime minister of Lebanon, The Refugee crisis, third general election, Threat to life, Transport and Communications Minister Binali Yildirim, Transportation of historical relics (holy remains) and gold by Syria, TTIP, Turkey, Turkey is a parliamentary system, Turkey Prime Minister Ahmet Davutoglu, Turkish citizens visa-free travel to the EU, Turkish crime mafia, Turkish invasion of Cyprus, Turkish national, Turkish nationalism, Turkish Nationalist Organisation, Turkish politician, Turkish politics, Turkish preacher, Turkish prime minister, Turkish Supreme Court, Turkish territory, Turkish-controlled portion of Cyprus, TurkishPolitics, U.S. Army Gen. Curtis M. Scaparrotti, Uighurs, Ultra-nationalist Turkish terrorist group, Unidos Podemos, US Election 2016, Valls Cabinet, War footing, weak points on June 27, 2016 by Clairvoyant Dimitrinka Staikova. Manuel Valls (Prime Minister of France) -Clairvoyant/Psychic predictions about France 2016 and TTIP, Problems with emigrants, Terrorism, Threat to life, Assault, Contracts – deals. Until two years France begins to produce new type of weapon. When will be the problems with the government and how they will be solved ? 2016 – Clairvoyant reading/Psychic predictions by Clairvoyant House “Dimitrinka Staikova and daughters Stoyanka and Ivelina Staikova ” – from Europe, Bulgaria, Varna – May 2, 2016, 1 pm. ……..Until May 8-9, 2016 are taken important decisions, but under pressure and nerves. The decisions are connected with the stabilization of the government which are rather like wishes at this stage and the wars : internal and external. Important decisions concerning the war footing in France are taken until the middle of May 15-16, 2016. On this stage the most important are four priorities for France – The war in Syria, foreign policy – deals with other countries and deals in the European Union, thirdly – the stabilization of Manuel Valls – the internal policy, terrorism, economics. Four – the gas, the oil and the Space. The fourth place doesn’t mean that they are not important or with priority, but that one project is crossed out, but on its place comes another project in the same moment. Begins the removal of the refugees from France – this is from the first priorities of that government. Follows the uniting of two energy companies by two countries, there is also uniting of their banks.Follows more serious problems with the government headed by Manuel Valls. This is the period (a moment), when the power is threatened – the law and the Prosecution are involved – June 2016. The problems are coming because of money. In a period of three days will be decided the destiny of Manuel Valls. There will be united another two problems – refugees and terrorism with a war footing. There is upconing travel with airplane and attack – I see a bomb. This entry was posted in Ankara, billionaires, BRUSSELS ATTACKS, business, Clairvoyant, Confirmation, Cyprus, Davutoglu, Donald Trump, Erdogan, Health diagnosis, Hillary Clinton, Manuel Valls, MH370, migrant crisis, Money, Nicos Anastasiades, Peace, Politicians, President Barack Obama, Psychic, Syria, terrorism, Turkey, Uncategorized, Us Elections 2016, War, Washington, Worl Predictions, World predictions that came true and tagged #EgyptTurmoil, #IslamicState, #SyriaWar, #ThirdIntifada, #TurkeyChooses, 2015 Bangkok bombing, Abdullah Çatlı, ADÜTDF), Ahmet Davutoglu, AKP, AKP deputies, AKP leaders, AKP officials, AKP’s congress, Alexander van der Bellen, Ali al-Naimi, Alparslan Türkeş, Angela Merkel, Ankara, Anti-communism, arrest of a reported Turkish citizen, assault, Aube region of eastern France, Austrian presidential race, Azerbaijan, Ülkü Ocakları, ­Arnaud Pacot, Bangkok, Bangkok bombing, Bashar al-Assad, Belçika Türk Federasyonu (BTF), Belgium, Bernie Sanders, BFM television, Binali Yıldırım, Brexit, burning tyres, business, Campaign, Candidate, Candidate of the Green Party of the Presidential Election in Austria, Central Asia, Central Executive Board (MYK), Central Intelligence Agency, CGT union, Chairman, Chancellor of Germany, Character, China Times, city of Rennes, clairvoyant, Clairvoyant Calendar 2016, clairvoyant reading, Clairvoyant/Psychic predictions about Germany 2016, clashes in Paris, CNN Turk, conflict against the PKK, contracts, Cuba, Cyprus, David Cameron, Davutoglu, Davutoglu and Erdogan, Davutoglu's resignation, deals, Democratic presidential candidate, Democratic presidential front-runner, Democrats, demonstrators, Der Spiegel, Devlet Bahceli, Dimitrinka Staikova, Direction générale de la sécurité intérieure, Donald Trump, Donald Tusk, Douchy-les-Mines, Election results, Elections 2016 in Turkey, elections in Northern Cyprus, elections in Spain on June 26, elections Turkey, Erawan Shrine bombing, Erdogan, Erdogan's decision, Erdogan's presidency, Erdoğan's election, EUCOM, Euro 2016 championships, European Union, extraordinary congress Turkey, extremist organization, falls and rises, Family business, far-Right Freedom Party, Fethullah Gulen, Finance Minister Michel Sapin, France 2016, France labour dispute, Francois Hollande, French Prime Minister, French Prime Minister Manuel Valls, French workers, fuel ­reserves, fuel supplies, German Turks, Germany, Gilles Guyomard, Government of France, Grand National Assembly, Grand National Assembly of Turkey, Grey Wolves, Grey Wolves leader, Harfleur, Hürriyet Daily News, Head of the U.S. European Command, health, Health diagnosis, Hillary Clinton, Hofer or Van der Bellen, House Speaker Paul Ryan, Idealist Clubs, Idealist Hearths, in Normandy, Industrial action, Internal war, International Press Institute, Israeli Prime Minister Benjamin Netanyahu, Istanbul, Ivelina Staikova, Jean -Claude Juncker, Jean-Luc Daganaud, Jens Stoltenber, Justice and Development Party, Justice Minister Bekir Bozdag, Kürşat Ergün, Kemal Kilicdaroglu, King Felipe of Spain, Kurdish militants, Kurdistan Workers' Party, kurds, Kurds in Germany, labour bill, labour law reforms, Latakia, Le Havre, Leader of Grey Wolves, Leader of PYD -Syria, leader of the AKP party, Lyon, majority, Manuel Valls, Marseille, Marseilles, Media Confirmations, Meeting with Pope Francis, Mehmet Ali Ağca, Meral Akşener, MHP, migrant crisis, military operations, Military provocations, Military tactics, MKYK, money, Montpellier and Bordeaux, mounting tensions, Mr Erdogan's son-in-law and Energy Minister Berat Albayrak, Mr Valls, Mr. Erdogan, Mr. Trump, Mustafa Ataş, Nagorno-Karabakh War, Nantes and Toulouse, National Intelligence Organization, Nationalist Movement Party, Nationalist Movement Party of Turkey, NATO, Neo-fascism, Norbert Hofer, Northern Cyprus, nuclear power stations and transport hubs, oil depot, oil refineries, opposition party leader, palace coup, Pan-Turkism, Paris, party AKP, Patriarch Kirill, peace talks with the PKK, PKK threat, Poland, politics, Pope Francis, possible radical Turkish connection, President Donald Trump, President François Hollande, president of Turkey, Presidential Election in Austria, presidential palace, presidential system, Prime Minister of France, Priorities, pro-Assad National Defence Forces, Problems in Cyprus, Problems with emigrants, Problems with the command, Protests in Paris, psychic, psychic predictions, Radical Party of the Left, Rajoy's Budget, Rauf Denktaş, Recep Tayyip Erdogan, refugees, Relationships with Turkey, Replacement of the Oil Minister of Saudi Arabia, Republicans, resignation Ahmet Davutoglu, Salih Muslim, Second Chechen Wars, Secretary General of Nato, Seine River, Sen. Bernie Sanders, shadow cabinet, snap polls, Socialist government, Spain's King Felipe VI, Spanish king sets new elections for June 26, strikes and protests, Syrian civil war, Tammam Salam, Türk Federasyon, Türk Federasyon (Avrupa Demokratik Ülkücü Türk Dernekleri Federasyonu, Türk Ocağı (TO), terrorism, Thai capital, Thailand, the AKP’s deputy chair, the attempt on Pope John Paul II's life in 1981, The Automotive industry, The Cuhmuriyet newspaper, The French Union of Petroleum Industries, The future of Spain, The Grey Wolves, the King of Spain, The meeting of Pope Francis and Patriarch Kirill in Cuba, The Nationalist Movement Party (MHP), the Netherlands, The politics of Turkey, the President of Austria, The Prime minister of Lebanon, The Refugee crisis, Threat to life, Tours, trains and nuclear plants, Transport and Communications Minister Binali Yildirim, Transport Minister Alain Vidalies, Transportation of historical relics (holy remains) and gold by Syria, Trump and Clinton?, TTIP, Turkey, Turkey is a parliamentary system, Turkey Prime Minister Ahmet Davutoglu, Turkish citizens visa-free travel to the EU, Turkish crime mafia, Turkish invasion of Cyprus, Turkish national, Turkish nationalism, Turkish Nationalist Organisation, Turkish politician, Turkish politics, Turkish preacher, Turkish prime minister, Turkish Supreme Court, Turkish territory, Turkish-controlled portion of Cyprus, TurkishPolitics, U.S. Army Gen. Curtis M. Scaparrotti, Uighurs, Ultra-nationalist Turkish terrorist group, unionists, US Election 2016, Valls Cabinet, War footing, Washington, water cannon, weak points on May 26, 2016 by Clairvoyant Dimitrinka Staikova. 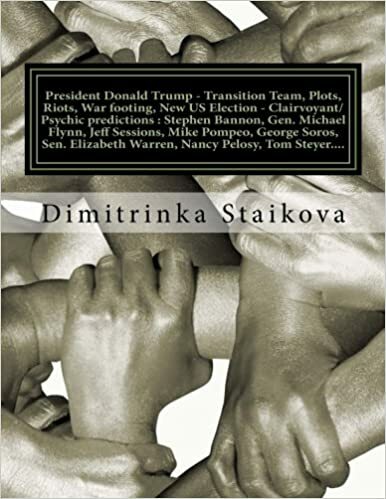 Recep Tayyip Erdogan (President of Turkey) – Military tactics, Family business, Politics, Money… – Clairvoyant reading/Psychic predictions by Clairvoyant House “Dimitrinka Staikova and daughters Stoyanka and Ivelina Staikova” – from Europe, Bulgaria, Varna – May 6, 2016, 10 am. …..Problems began with the construction of the refugee settlement. Turkey already leads a war about the Syrian oil field. May 2016, there are more problems with a military actions against the kurds in the region. – These are the second ten days of the month. As one beam the army stops its victorious march. Then, it is separated to three beams. Two of them surround the region (area), the third one stays on its place and with great force conquers the region. This entry was posted in Ankara, billionaires, BRUSSELS ATTACKS, business, Clairvoyant, Confirmation, Cyprus, Davutoglu, Donald Trump, Erdogan, migrant crisis, Peace, Politicians, Syria, terrorism, Turkey, Uncategorized, Us Elections 2016, Washington, World predictions that came true and tagged #EgyptTurmoil, #IslamicState, #SyriaWar, #ThirdIntifada, #TurkeyChooses, 2015 Bangkok bombing, Abdullah Çatlı, ADÜTDF), Ahmet Davutoglu, AKP, AKP deputies, AKP leaders, AKP officials, AKP’s congress, Alexander van der Bellen, Ali al-Naimi, Alparslan Türkeş, Angela Merkel, Ankara, Anti-communism, arrest of a reported Turkish citizen, assault, Austrian presidential race, Azerbaijan, Ülkü Ocakları, Bangkok, Bangkok bombing, Bashar al-Assad, Belçika Türk Federasyonu (BTF), Belgium, Bernie Sanders, Binali Yıldırım, Brexit, business, Candidate, Candidate of the Green Party of the Presidential Election in Austria, car bombings, Central Asia, Central Executive Board (MYK), Central Intelligence Agency, Chairman, Chancellor of Germany, Character, China Times, clairvoyant, Clairvoyant Calendar 2016, clairvoyant reading, Clairvoyant/Psychic predictions about Germany 2016, CNN Turk, conflict against the PKK, contracts, cross-border shelling, Cuba, Cyprus, David Cameron, Davutoglu, Davutoglu and Erdogan, Davutoglu's resignation, deals, Democrats, Der Spiegel, Devlet Bahceli, difficulties in Kilis, Dimitrinka Staikova, Direction générale de la sécurité intérieure, Donald Trump, Donald Tusk, Election results, Elections 2016 in Turkey, elections in Northern Cyprus, elections in Spain on June 26, elections Turkey, Erawan Shrine bombing, Erdogan, Erdogan's decision, Erdogan's presidency, Erdoğan's election, Erdoğan’s government, Erdoğan’s Turkey, EUCOM, European Union, extraordinary congress Turkey, extremist organization, falls and rises, Family business, far-Right Freedom Party, Fethullah Gulen, France 2016, Francois Hollande, German Turks, Germany, Government of France, Grand National Assembly, Grand National Assembly of Turkey, Grey Wolves, Grey Wolves leader, Hürriyet Daily News, Head of the U.S. European Command, health, Health diagnosis, Hillary Clinton, Idealist Clubs, Idealist Hearths, Internal war, international affairs, International Press Institute, iran, Iraq, IS, Islamic State, Islamic State jihadists, Israeli Prime Minister Benjamin Netanyahu, Istanbul, Ivelina Staikova, Jean -Claude Juncker, Jens Stoltenber, jihadists, Justice and Development Party, Justice Minister Bekir Bozdag, Kürşat Ergün, Kemal Kilicdaroglu, Kilis, Kilis province, King Felipe of Spain, Kurdish militants, Kurdistan Workers' Party, kurds, Kurds in Germany, Latakia, Leader of Grey Wolves, Leader of PYD -Syria, leader of the AKP party, majority, Manuel Valls, Media Confirmations, Meeting with Pope Francis, Mehmet Ali Ağca, Meral Akşener, MHP, migrant crisis, military operations, Military provocations, Military tactics, MKYK, money, mounting tensions, Mr Erdogan's son-in-law and Energy Minister Berat Albayrak, Mr. Erdogan, Mustafa Ataş, Nagorno-Karabakh War, National Intelligence Organization, Nationalist Movement Party, Nationalist Movement Party of Turkey, NATO, Neo-fascism, Norbert Hofer, Northern Cyprus, opposition party leader, palace coup, Pan-Turkism, party AKP, Patriarch Kirill, peace talks with the PKK, PKK, PKK threat, Poland, politics, Pope Francis, possible radical Turkish connection, President Erdogan, president of Turkey, Presidential Election in Austria, presidential palace, presidential system, press freedom in Turkey, Prime Minister of France, Priorities, pro-Assad National Defence Forces, Problems in Cyprus, Problems with emigrants, Problems with the command, psychic, psychic predictions, Radical Party of the Left, Rajoy's Budget, Rauf Denktaş, Recep Tayyip Erdogan, refugees, Relationships with Turkey, Replacement of the Oil Minister of Saudi Arabia, Republicans, resignation Ahmet Davutoglu, Salih Muslim, Second Chechen Wars, Secretary General of Nato, shadow cabinet, snap polls, Spain's King Felipe VI, Spanish king sets new elections for June 26, Syria, Syrian civil war, Syrian Refugee Crisis, Syrian refugees, Syrian side of the border, Syrian territory, Tammam Salam, Türk Federasyon, Türk Federasyon (Avrupa Demokratik Ülkücü Türk Dernekleri Federasyonu, Türk Ocağı (TO), terrorism, Thai capital, Thailand, the AKP’s deputy chair, the attempt on Pope John Paul II's life in 1981, The Automotive industry, The Cuhmuriyet newspaper, The future of Spain, The Grey Wolves, the King of Spain, The meeting of Pope Francis and Patriarch Kirill in Cuba, The Nationalist Movement Party (MHP), the Netherlands, The politics of Turkey, The Prime minister of Lebanon, The Refugee crisis, Threat to life, Transport and Communications Minister Binali Yildirim, Transportation of historical relics (holy remains) and gold by Syria, TTIP, Turkey, Turkey is a parliamentary system, Turkey Prime Minister Ahmet Davutoglu, Turkey’s membership of the European Union, Turkish citizens visa-free travel to the EU, Turkish crime mafia, Turkish forces, Turkish invasion of Cyprus, Turkish national, Turkish nationalism, Turkish Nationalist Organisation, Turkish politician, Turkish politics, Turkish preacher, Turkish President Recep Tayyip Erdogan, Turkish prime minister, Turkish Prime Minister Ahmet Davutoglu, Turkish Supreme Court, Turkish territory, Turkish-controlled portion of Cyprus, TurkishPolitics, U.S. Army Gen. Curtis M. Scaparrotti, Uighurs, Ultra-nationalist Turkish terrorist group, US Election 2016, US-led coalition, Valls Cabinet, War footing, weak points on May 17, 2016 by Clairvoyant Dimitrinka Staikova. 1.Manuel Valls (Prime Minister of France) -Clairvoyant/Psychic predictions about France 2016 and TTIP, Problems with emigrants, Terrorism, Threat to life, Assault, Contracts – deals. Until two years France begins to produce new type of weapon. When will be the problems with the government and how they will be solved ? 2016 – Clairvoyant reading/Psychic predictions by Clairvoyant House “Dimitrinka Staikova and daughters Stoyanka and Ivelina Staikova ” – from Europe, Bulgaria, Varna – May 2, 2016, 1 pm. 2.King Felipe of Spain – Negotiations between two parties (groupings) fails before the Elections. Internal war. The future of Spain – procedures about the split (separation) of the independence of one region (area). Health Diagnosis of the King of Spain – Clairvoyant reading/Psychic predictions – May 4, 2016, 10 am. 3.Ahmet Davutoglu (Turkish Prime Minister) – A Knife, Separation, Returning into the politics on a white horse – Clairvoyant reading/Psychic predictions – May 6, 2016, 9am. 4.Recep Tayyip Erdogan (President of Turkey) – Military tactics, Family business, Politics, Money… – Clairvoyant reading/Psychic predictions – May 6, 2016, 10 am. 5.U.S. 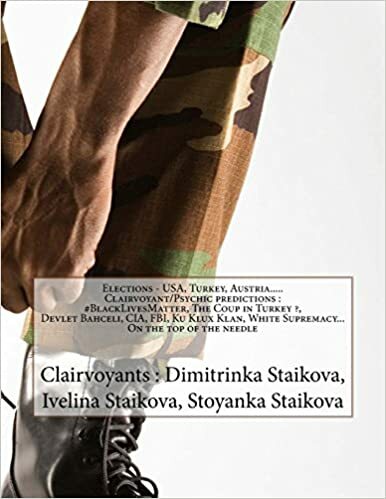 Army Gen. Curtis M. Scaparrotti (Head of the U.S. European Command -EUCOM) – Health Diagnosis, Clairvoyant Calendar 2016, Problems with the command, Military provocations, Character, Problems in Cyprus, Poland, North… – Clairvoyant reading/Psychic predictions – May 7, 2016, 2 pm. 6.Devlet Bahçelı – May 7, 2016, 3pm. (Leader of Grey Wolves – Turkish Nationalist Organisation and Chairman of Nationalist Movement Party of Turkey) – Health, Transportation of historical relics (holy remains) and gold by Syria, The politics of Turkey – falls and rises – Clairvoyant reading/Psychic predictions – May 7, 2016, 3 pm. 7.Angela Merkel (Chancellor of Germany) -May 8,2016 -Health, Meeting with Pope Francis, Clairvoyant/Psychic predictions about Germany 2016, Business, Relationships with Turkey, The Automotive industry. Does Angela Merkel remains chancellor of Germany -Year 2016? – Clairvoyant reading/Psychic predictions- May 8, 2016, 4 pm. 8.Norbert Hofer ( Candidate of the far-Right Freedom Party of the Presidential Election in Austria ) – Priorities, War footing, Business, Weak points, Election results – Clairvoyant reading/Psychic predictions – May 10, 2016, 7 pm. 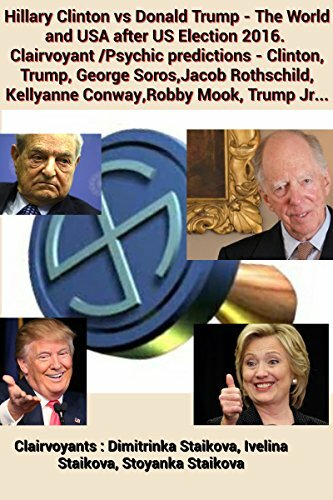 9.Alexander van der Bellen (Candidate of the Green Party of the Presidential Election in Austria) – The money are too much, but they are never enough ; Moto -” It will happen like we wish it “- Clairvoyant reading/Psychic predictions – May 10, 2016, 8 pm. 10.Donald Trump (US Election 2016) – “You reap what you sow!” – Clairvoyant reading/Psychic predictions – May 11, 2016, 2 pm. 11.Hillary Clinton and Bernie Sanders (US Election 2016) – Who is more patient to wait the power ? The Democrats united – are they a bigger force by the Republicans? – Clairvoyant reading/Psychic predictions – May 11, 2016, 3 pm. 12.The meeting of Pope Francis and Patriarch Kirill in Cuba -Febr.2016 – “What is the deal between Pope Francis and Patriarch Kirill that they were discussing? Will they transfer and what part of the Catholic money from Russia to Rome ? “- Clairvoyant/Psychic Reading by Clairvoyant House ” Dimitrinka Staikova and daughters Stoyanka and Ivelina Staikova” – from Europe, Bulgaria, Varna – 13.02.2016, 9am. 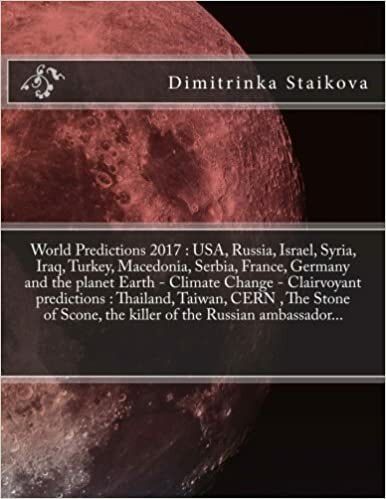 Also Clairvoyant/Psychic Predictions for : Jean – Claude Juncker ,Donald Tusk (The refugee crisis), David Cameron (Brexit), Tammam Salam (The Prime minister of Lebanon), Salih Muslim (Leader of PYD -Syria), Bashar al-Assad, Fethullah Gulen (Turkish preacher), Jens Stoltenber (Secretary – General of NATO), Israeli Prime Minister Benjamin Netanyahu. 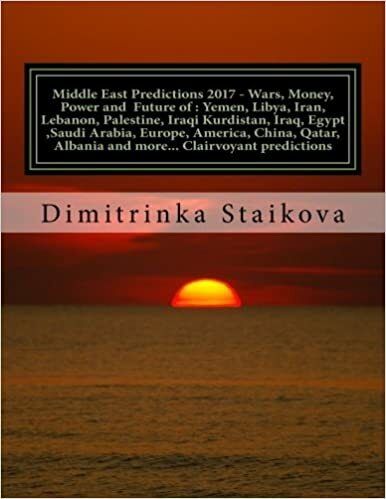 Media Confirmations for: • Replacement of the Oil Minister of Saudi Arabia ( Ali al-Naimi ) -May 2016 as predicted by Clairvoyant/Psychic Dimitrinka Staikova in her Ebook. •Internal war and Elections 2016 in Turkey “Turkish ……. This entry was posted in Ankara, billionaires, BRUSSELS ATTACKS, business, Clairvoyant, Confirmation, Cyprus, Davutoglu, Donald Trump, Erdogan, Health diagnosis, Hillary Clinton, migrant crisis, Money, Nicos Anastasiades, Peace, Politicians, President Barack Obama, Psychic, Syria, terrorism, Turkey, Uncategorized, Us Elections 2016, War, Washington and tagged #EgyptTurmoil, #IslamicState, #SyriaWar, #ThirdIntifada, #TurkeyChooses, 2015 Bangkok bombing, Abdullah Çatlı, ADÜTDF), Ahmet Davutoglu, AKP, AKP deputies, AKP leaders, AKP officials, AKP’s congress, Alexander van der Bellen, Ali al-Naimi, Alparslan Türkeş, Angela Merkel, Ankara, Anti-communism, arrest of a reported Turkish citizen, assault, Austrian presidential race, Azerbaijan, Ülkü Ocakları, Bangkok, Bangkok bombing, Bashar al-Assad, Belçika Türk Federasyonu (BTF), Belgium, Bernie Sanders, Binali Yıldırım, Brexit, business, Campaign, Candidate, Candidate of the Green Party of the Presidential Election in Austria, Central Asia, Central Executive Board (MYK), Central Intelligence Agency, Chairman, Chancellor of Germany, Character, China Times, clairvoyant, Clairvoyant Calendar 2016, clairvoyant reading, Clairvoyant/Psychic predictions about Germany 2016, CNN Turk, conflict against the PKK, contracts, Cuba, Cyprus, David Cameron, Davutoglu, Davutoglu and Erdogan, Davutoglu's resignation, deals, Democratic presidential candidate, Democratic presidential front-runner, Democrats, Der Spiegel, Devlet Bahceli, Dimitrinka Staikova, Direction générale de la sécurité intérieure, Donald Trump, Donald Tusk, Election results, Elections 2016 in Turkey, elections in Northern Cyprus, elections in Spain on June 26, elections Turkey, Erawan Shrine bombing, Erdogan, Erdogan's decision, Erdogan's presidency, Erdoğan's election, EUCOM, European Union, extraordinary congress Turkey, extremist organization, falls and rises, Family business, far-Right Freedom Party, Fethullah Gulen, France 2016, Francois Hollande, German Turks, Germany, Government of France, Grand National Assembly, Grand National Assembly of Turkey, Grey Wolves, Grey Wolves leader, Hürriyet Daily News, Head of the U.S. European Command, health, Health diagnosis, Hillary Clinton, Hofer or Van der Bellen, House Speaker Paul Ryan, Idealist Clubs, Idealist Hearths, Internal war, International Press Institute, Israeli Prime Minister Benjamin Netanyahu, Istanbul, Ivelina Staikova, Jean -Claude Juncker, Jens Stoltenber, Justice and Development Party, Justice Minister Bekir Bozdag, Kürşat Ergün, Kemal Kilicdaroglu, King Felipe of Spain, Kurdish militants, Kurdistan Workers' Party, kurds, Kurds in Germany, Latakia, Leader of Grey Wolves, Leader of PYD -Syria, leader of the AKP party, majority, Manuel Valls, Media Confirmations, Meeting with Pope Francis, Mehmet Ali Ağca, Meral Akşener, MHP, migrant crisis, military operations, Military provocations, Military tactics, MKYK, money, mounting tensions, Mr Erdogan's son-in-law and Energy Minister Berat Albayrak, Mr. Erdogan, Mr. Trump, Mustafa Ataş, Nagorno-Karabakh War, National Intelligence Organization, Nationalist Movement Party, Nationalist Movement Party of Turkey, NATO, Neo-fascism, Norbert Hofer, Northern Cyprus, opposition party leader, palace coup, Pan-Turkism, party AKP, Patriarch Kirill, peace talks with the PKK, PKK threat, Poland, politics, Pope Francis, possible radical Turkish connection, President Donald Trump, president of Turkey, Presidential Election in Austria, presidential palace, presidential system, Prime Minister of France, Priorities, pro-Assad National Defence Forces, Problems in Cyprus, Problems with emigrants, Problems with the command, psychic, psychic predictions, Radical Party of the Left, Rajoy's Budget, Rauf Denktaş, Recep Tayyip Erdogan, refugees, Relationships with Turkey, Replacement of the Oil Minister of Saudi Arabia, Republicans, resignation Ahmet Davutoglu, Salih Muslim, Second Chechen Wars, Secretary General of Nato, Sen. Bernie Sanders, shadow cabinet, snap polls, Spain's King Felipe VI, Spanish king sets new elections for June 26, Syrian civil war, Tammam Salam, Türk Federasyon, Türk Federasyon (Avrupa Demokratik Ülkücü Türk Dernekleri Federasyonu, Türk Ocağı (TO), terrorism, Thai capital, Thailand, the AKP’s deputy chair, the attempt on Pope John Paul II's life in 1981, The Automotive industry, The Cuhmuriyet newspaper, The future of Spain, The Grey Wolves, the King of Spain, The meeting of Pope Francis and Patriarch Kirill in Cuba, The Nationalist Movement Party (MHP), the Netherlands, The politics of Turkey, the President of Austria, The Prime minister of Lebanon, The Refugee crisis, Threat to life, Transport and Communications Minister Binali Yildirim, Transportation of historical relics (holy remains) and gold by Syria, Trump and Clinton?, TTIP, Turkey, Turkey is a parliamentary system, Turkey Prime Minister Ahmet Davutoglu, Turkish citizens visa-free travel to the EU, Turkish crime mafia, Turkish invasion of Cyprus, Turkish national, Turkish nationalism, Turkish Nationalist Organisation, Turkish politician, Turkish politics, Turkish preacher, Turkish prime minister, Turkish Supreme Court, Turkish territory, Turkish-controlled portion of Cyprus, TurkishPolitics, U.S. Army Gen. Curtis M. Scaparrotti, Uighurs, Ultra-nationalist Turkish terrorist group, US Election 2016, Valls Cabinet, War footing, Washington, weak points on May 12, 2016 by Clairvoyant Dimitrinka Staikova. Devlet Bahceli (09.9.2015 – Leader of Grey Wolves – Turkish Nationalist organization and Chairman of Nationalist Movement Party of Turkey) – “Turkish Stream – When?, Turkey – Elections 2016, Internal and External Wars, The Grey Wolves Inside” – Clairvoyant/Psychic Predictions by Clairvoyant House “Dimitrinka Staikova and Daughters Stoyanka and Ivelina Staikova” – from Europe, Bulgaria,Varna – 09.9.2015,1pm. In the Party are united five energy companies + incoming (transient) Party with two energy companies. Three energy companies and the stopping of 2/3 by Turkish Stream Gas Pipeline are depending by the institution of the Grey Wolves. For permission of 1/3 – one segment-has contributed : a bank, money and negotiations with these five energy companies. Devlet Bahceli’s Health Diagnosis : He has problems with the throat, strong pains in the head – the forehead + fontanelle, a disease in the blood circulatory system. Above the heart i see weakness and constriction in the blood vessels. This is Above the heart – it is not in the very heart. I feel neurosis, fear because of military actions. Problems in the abdominal cavity – intestines and cysts and serious pains in the bones in the whole body. On the back of the head the pain is located on the right side, but on the left side there is foreign energy source. I see sick right lung. By the right side there are pains and old scars on the leg. By the left side there is formication because of the weak blood irrigation. In the moment , he has bacterial infection and he must has special diet. Agreements with Iran are not completed. There is agreement for Syria, but not also for big part of the territory of Syria. They can’t make agreement also with Iraq. There is agreement – Where everyone to lead the military actions (the combats). The Intelligence Services don’t contact each other. The new plan of Turkey is the colonization (the settlement) of the mountains with refugees, new buildings – opening of roads toward the new oil field in Syria. Construction of new roads to Azerbaijan, Iran. In the future Turkey will want expansion of its war with Syria – direction Damascus,Iran. For now, they don’t see Iraq with active participation in that war. They only afraid if soldiers by Saudi Arabia enter in Syria through Iraq. Turkey thinks the war in Syria for its priority in the region. In the future is forthcoming the Union of Turkey with Iran – I see corridor which they provide to Iran to put forward its weapons toward Israel – this in details is upcoming as negotiation until November 2015. There is forthcoming rush (haste) because of the russian army in Syria. September 2015 – problems with the legs and the moving , and problems with the incoming energy company, problems with electronics and technics – electric shocks (strong electricity). Until the end of September – Conversations with Iran. There is a standstill in the relations with Russia – the end of October – ultimatums to Russia. Building of Nuclear plants by two companies – two countries. The end of October and the begining of November – the head and the pains – brief treatment and light surgical intervention. October – November 2015 – Battle,hard battle with a lot of blood and victims, Problems with PKK and ISIS. The Elections in Turkey will pass as internal agreement between its people, but not as nationwide event. It is expected a big business deal – December 2015 – With many,many money – Also USA is participating – It will help also for the Elections 2016 in USA : the deal – I see white grains, as chemical powder. The money in the future will be invested in oil corridors – Iran. What is characteristic about that man – he has no soul, that’s why the place where the soul is located in the body is sick, it hurts. He has a special genetics and he was exceptional as leader but with exhausted energy capacity. His foible is the energy. If he finds a way for loading – he will recover completely. January 2016 – the year is starting slowly. After the first days of the year is starting internal war in Turkey – arrests,dictatorship. On the external border with Syria the war will be reduced briefly to strong air strikes, including also the southern border. Year 2016 Turkey will lead double war on two fronts with PKK and ISIS. Inside the very Turkey there is upcoming cleavage – one part of it will not be controlled. Year 2016 – there are forthcoming elections for Turkey won with a lot of blood by communists. For elections will be talked after February 2016 – preparation March – April 2016. This entry was posted in Ankara, billionaires, BRUSSELS ATTACKS, business, Clairvoyant, Confirmation, Cyprus, Davutoglu, Donald Trump, Erdogan, Health diagnosis, Hillary Clinton, migrant crisis, Money, Peace, Politicians, President Barack Obama, Psychic, Syria, terrorism, Turkey, Uncategorized, War, Washington, World predictions that came true and tagged #EgyptTurmoil, #IslamicState, #SyriaWar, #ThirdIntifada, #TurkeyChooses, 2015 Bangkok bombing, Abdullah Çatlı, ADÜTDF), Ahmet Davutoglu, AKP, AKP deputies, AKP leaders, AKP officials, Alparslan Türkeş, Ankara, Anti-communism, arrest of a reported Turkish citizen, Azerbaijan, Ülkü Ocakları, Bangkok, Bangkok bombing, Belçika Türk Federasyonu (BTF), Belgium, Binali Yıldırım, Central Asia, Central Executive Board (MYK), Central Intelligence Agency, China Times, clairvoyant, CNN Turk, conflict against the PKK, Cyprus, Davutoglu, Davutoglu and Erdogan, Davutoglu's resignation, Der Spiegel, Devlet Bahceli, Dimitrinka Staikova, Direction générale de la sécurité intérieure, elections in Northern Cyprus, elections Turkey, Erawan Shrine bombing, Erdogan, Erdogan's decision, Erdogan's presidency, Erdoğan's election, European Union, extraordinary congress Turkey, extremist organization, German Turks, Germany, Grand National Assembly, Grand National Assembly of Turkey, Grey Wolves, Grey Wolves leader, Hürriyet Daily News, Idealist Clubs, Idealist Hearths, International Press Institute, Istanbul, Ivelina Staikova, Justice and Development Party, Justice Minister Bekir Bozdag, Kemal Kilicdaroglu, Kurdish militants, Kurdistan Workers' Party, kurds, Kurds in Germany, Latakia, leader of the AKP party, majority, Mehmet Ali Ağca, migrant crisis, military operations, MKYK, mounting tensions, Mr Erdogan's son-in-law and Energy Minister Berat Albayrak, Mr. Erdogan, Mustafa Ataş, Nagorno-Karabakh War, National Intelligence Organization, Nationalist Movement Party, NATO, Neo-fascism, Northern Cyprus, opposition party leader, palace coup, Pan-Turkism, party AKP, peace talks with the PKK, PKK threat, possible radical Turkish connection, presidential palace, presidential system, pro-Assad National Defence Forces, psychic, psychic predictions, Rauf Denktaş, Recep Tayyip Erdogan, refugees, resignation Ahmet Davutoglu, Second Chechen Wars, shadow cabinet, Syrian civil war, Türk Federasyon, Türk Federasyon (Avrupa Demokratik Ülkücü Türk Dernekleri Federasyonu, Türk Ocağı (TO), Thai capital, Thailand, the AKP’s deputy chair, the attempt on Pope John Paul II's life in 1981, The Cuhmuriyet newspaper, The Grey Wolves, the Netherlands, Transport and Communications Minister Binali Yildirim, Turkey, Turkey is a parliamentary system, Turkey Prime Minister Ahmet Davutoglu, Turkish citizens visa-free travel to the EU, Turkish crime mafia, Turkish invasion of Cyprus, Turkish national, Turkish nationalism, Turkish politician, Turkish politics, Turkish Supreme Court, Turkish territory, Turkish-controlled portion of Cyprus, TurkishPolitics, Uighurs, Ultra-nationalist Turkish terrorist group, United Nations Buffer Zone on May 5, 2016 by Clairvoyant Dimitrinka Staikova.